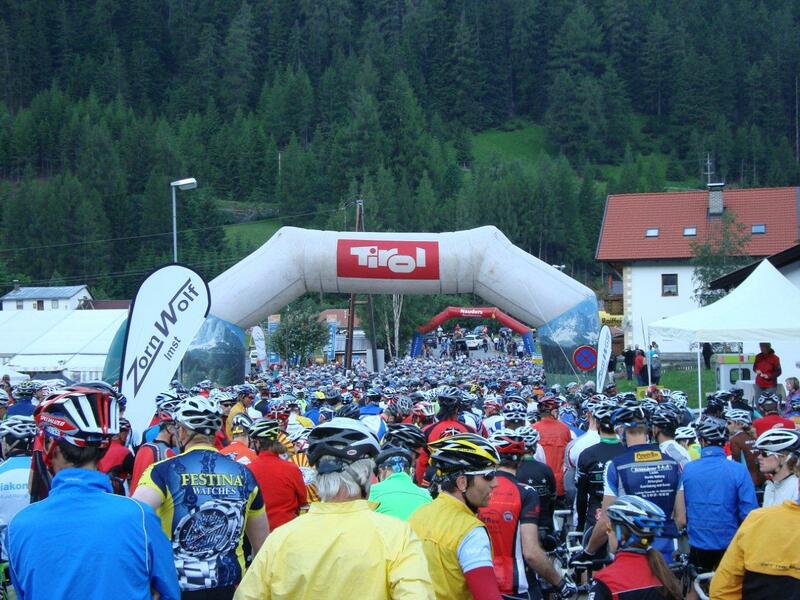 The very popular Dreiländergiro attracts every year 3,000 participants going on a journey through the three countries of Austria, Italy and Switzerland. 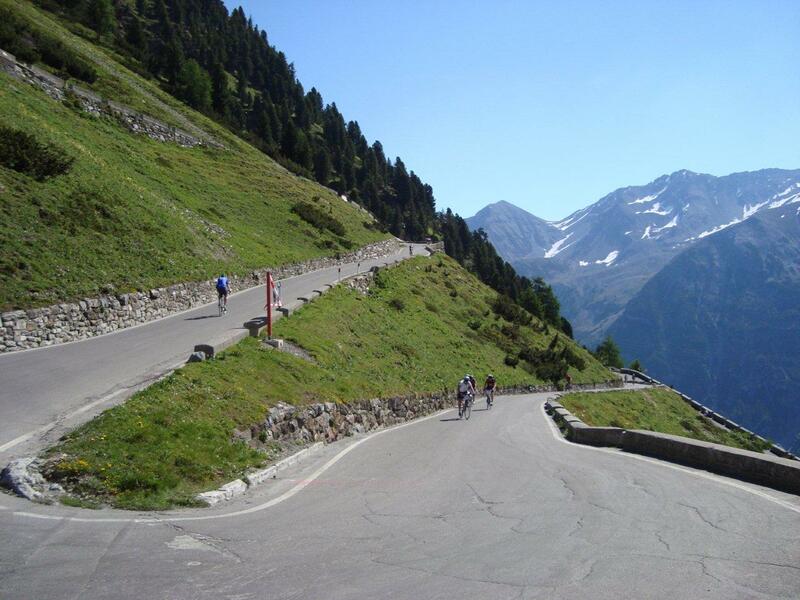 Centre stage is taken by the most gorgeous ramp of Europe: Northern ramp of Stilfser Joch routing via 48 switchbacks and some 1,850 altitude meters up to an elevation of 2,760m. 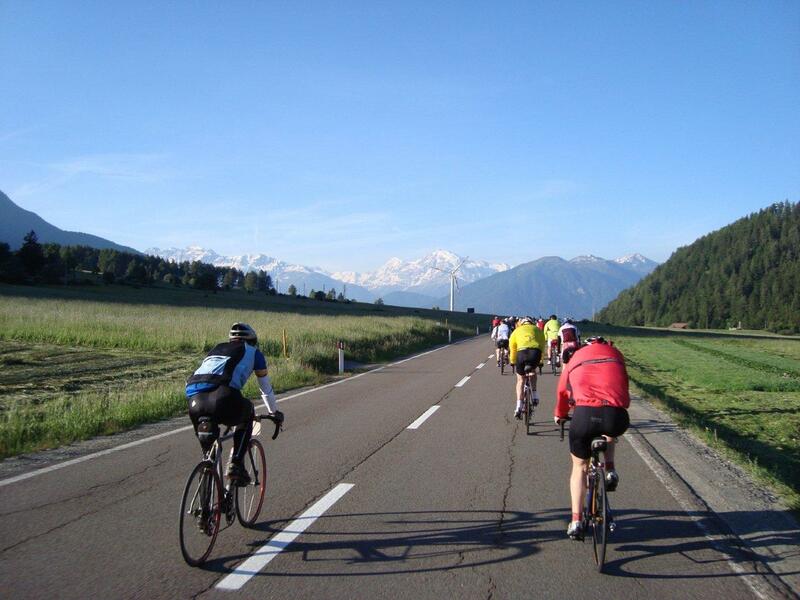 Providing in total some 3,500 meters of altitude difference the 3LG belongs to the "smooth" cycling marathons in the Alps. 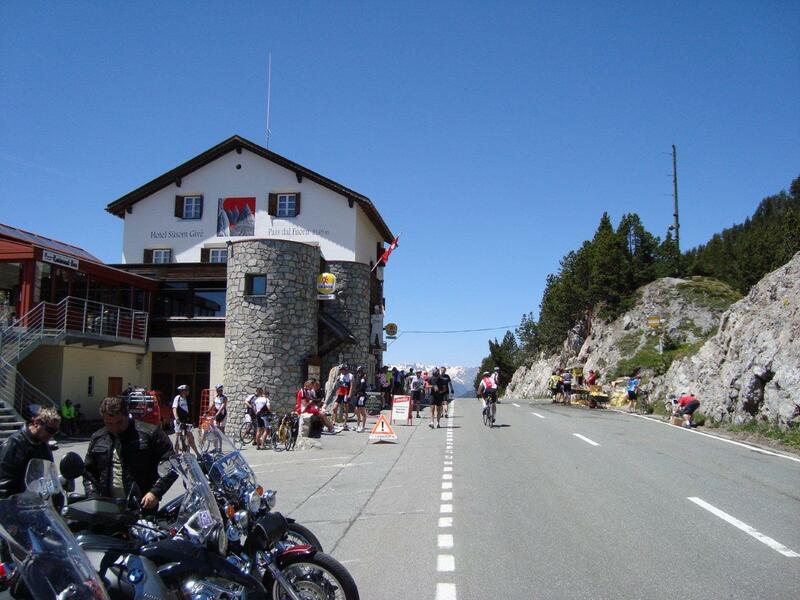 However, the 3LG has 169 kilometers and takes place at the very beginning of the cycling season end of June. Shortly after the start in Austrian Nauders the course leads smoothly uphill to the Reschenpass with its well-known steeple peeking out of Reschen Lake. 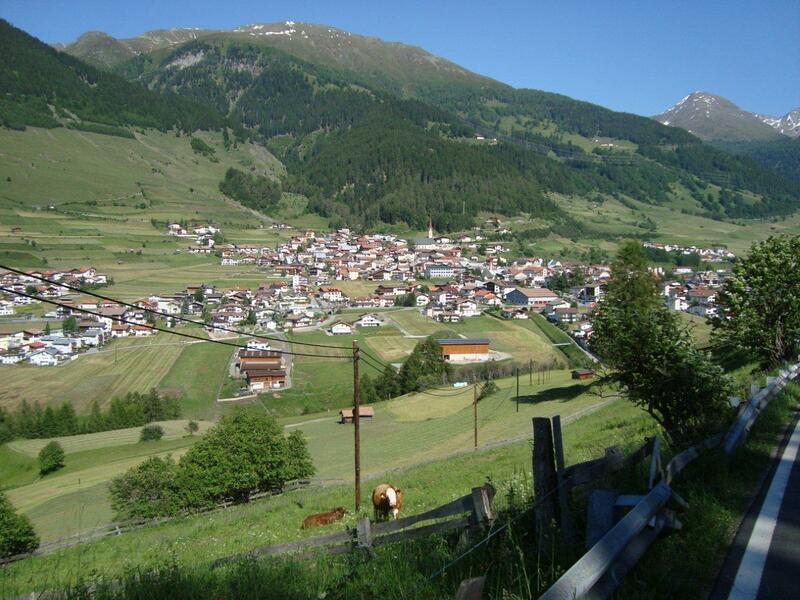 In Italian South Tyrol the way leads through the Vinschgau valley to the village of Prad. 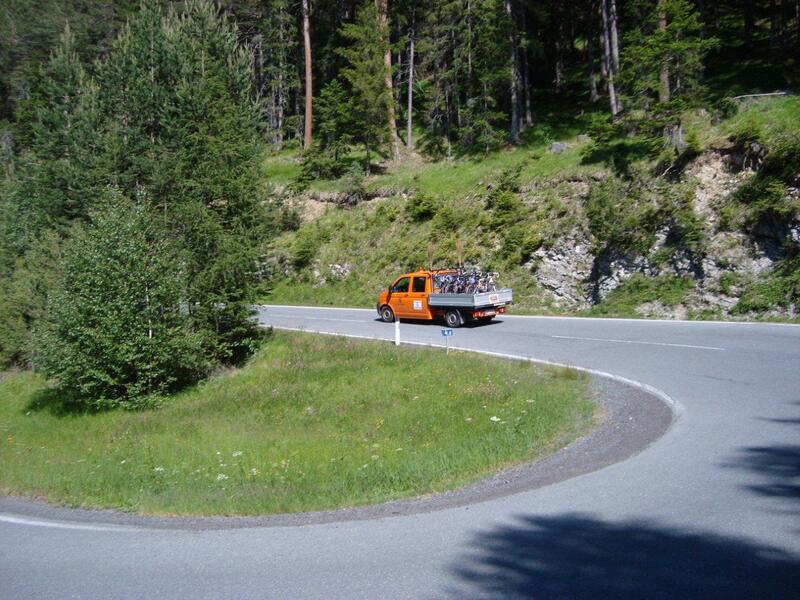 In Prad the 27 kilometers uphill ramp to Silfser Joch commences. 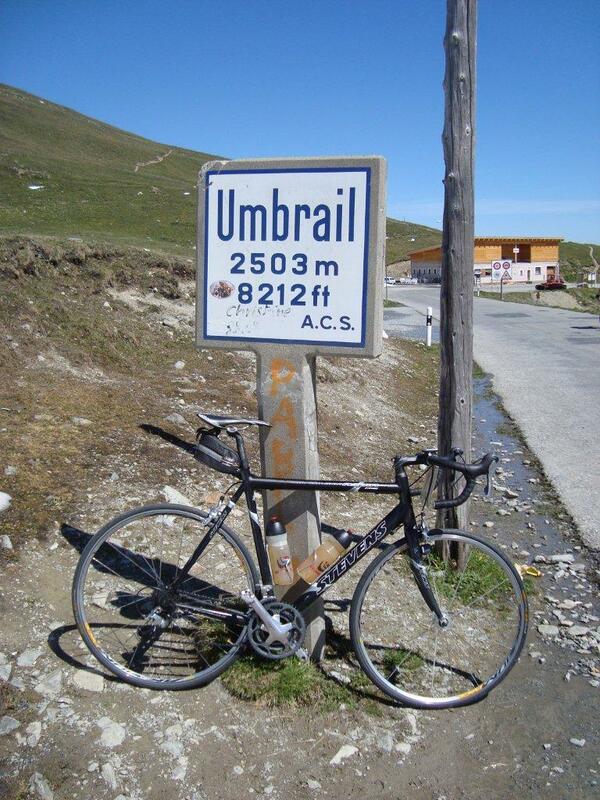 Having reached the summit the way routes directly (without further uphill grade) down to Umbrailpass and to Switzerland. 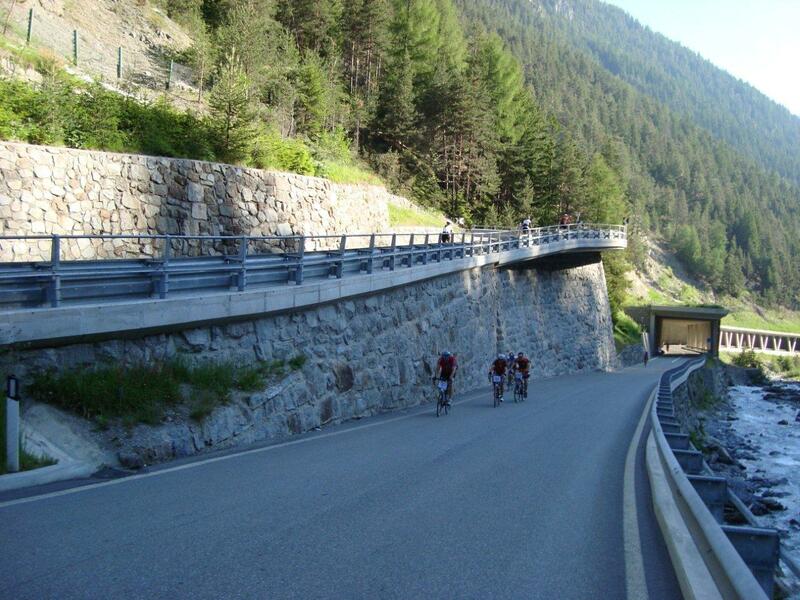 Afterwards the Ofenpass (elevation 2,149m) waits for the cyclists. 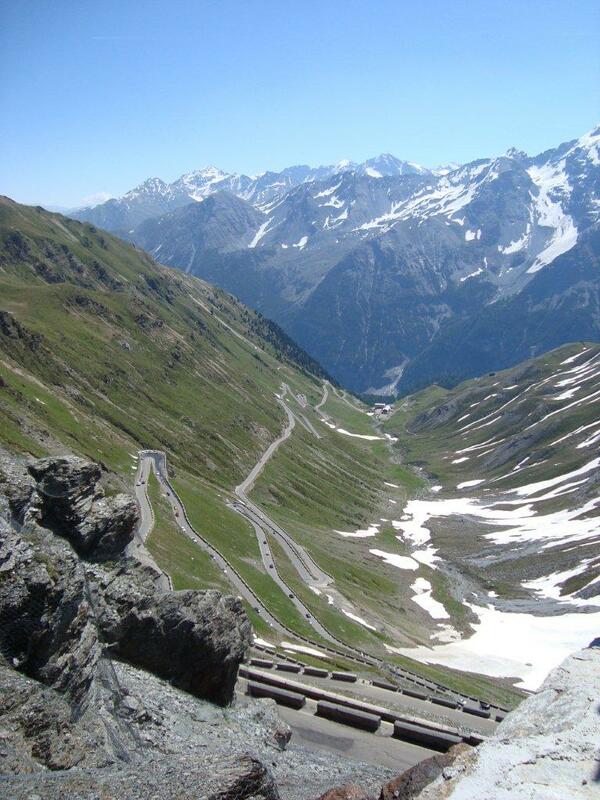 Subsequent way back curls through the Swiss Engadin alongside Inn river via Zernez and Scuol down to the spot of Martina. 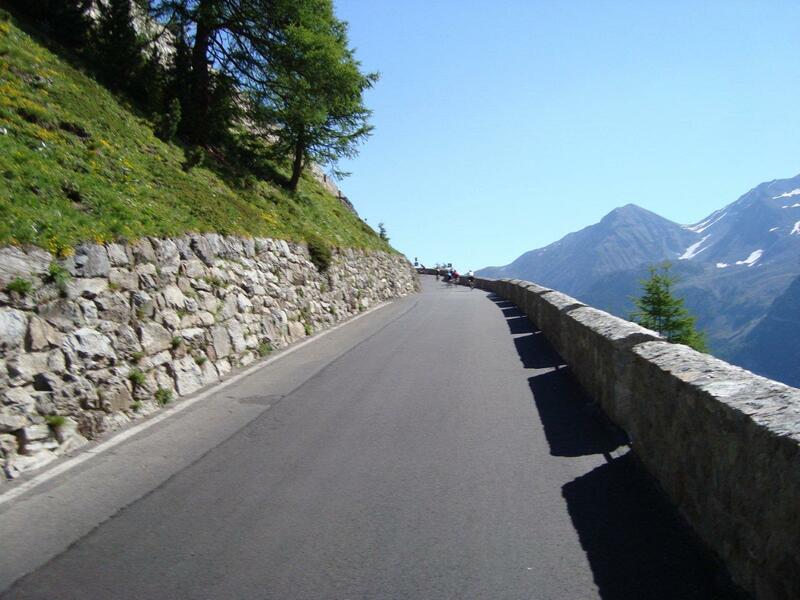 This part may look like a conveniant downhill ride of some 60 kilometers. 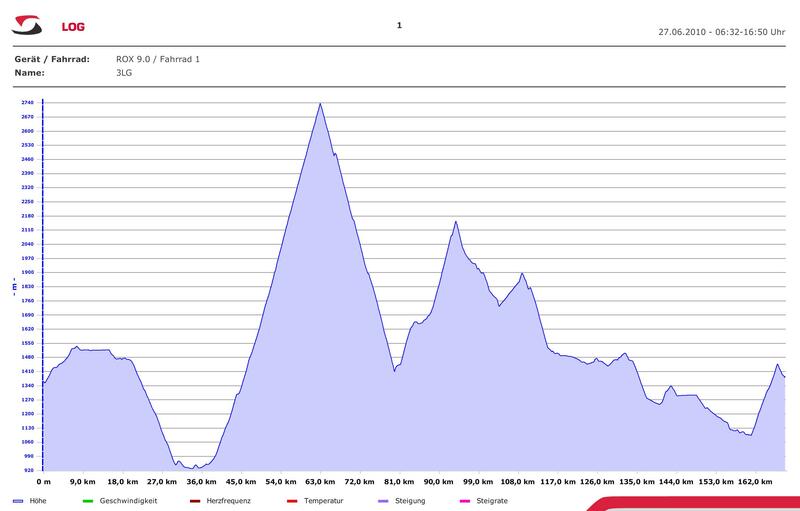 However, this part has some stressful uphill climbs and displeasing headwinds. Finally, there are behind Martina some further challenging 11 ramps and 400 meters of altitude difference up to Norbertshöhe and back to Nauders. 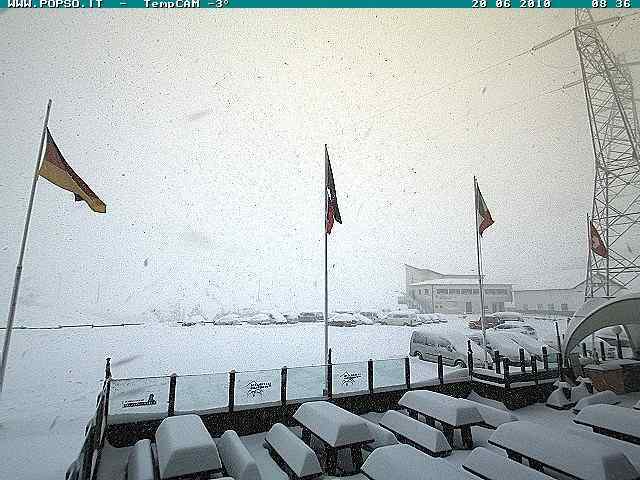 Only one week before the race the webcam on Stilfser Joch reported this picture! 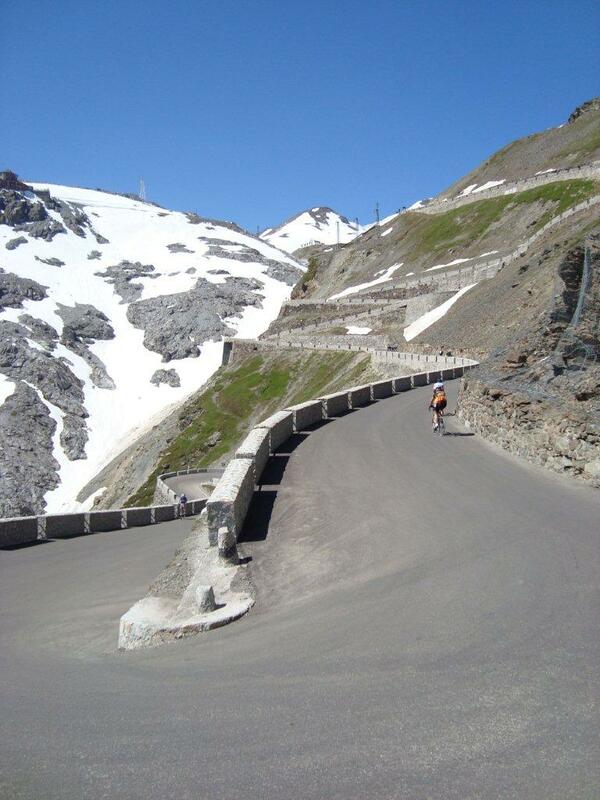 The pass was even closed for two days due to an avalanche. 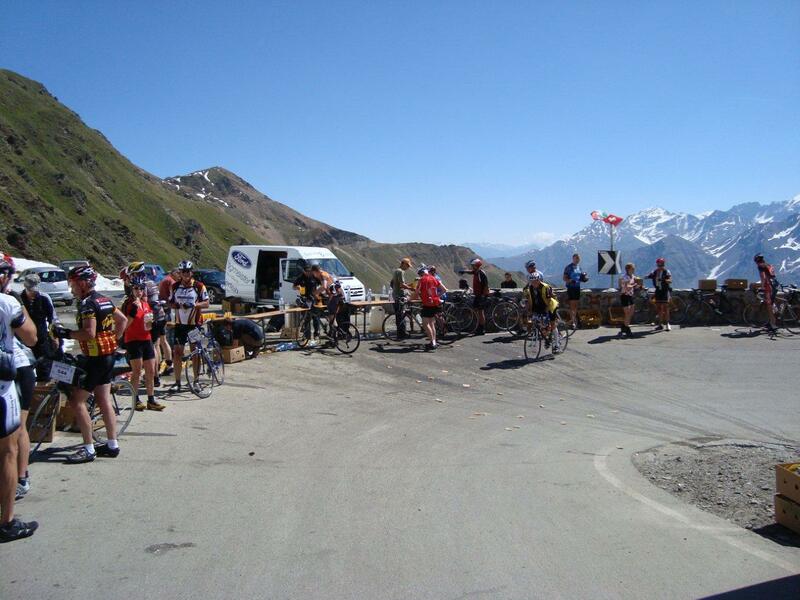 However, on race day the weather conditions were very pleasant without any clouds and with temperatures of more than 20 degrees Celsius even on pass summit. 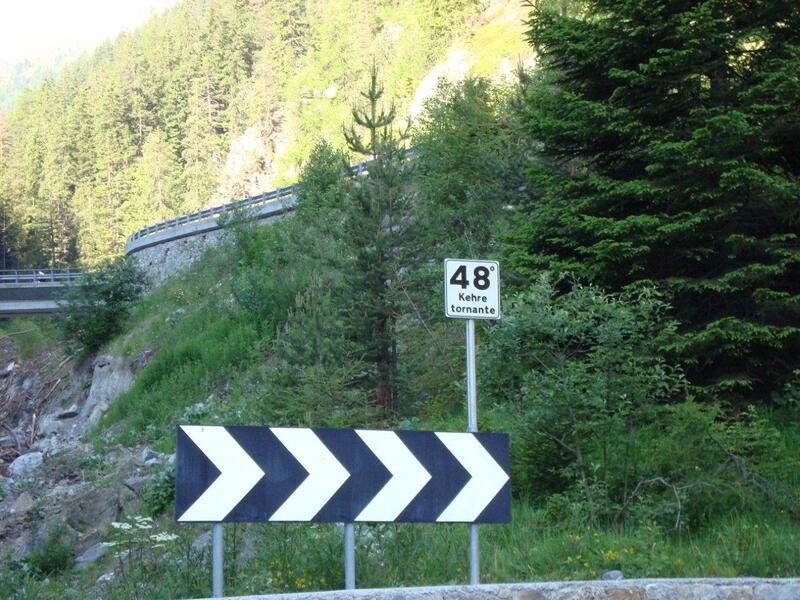 ...and this sign announces only 47 further switchbacks up to the summit of Stilfser Joch! ...and on an altitude level of some 2,220 meters at Hotel Franzenshöhe you have this spectacular and gorgeous view on the 27 remaining serpentines up to the pass summit! View back down on Northern ramp. 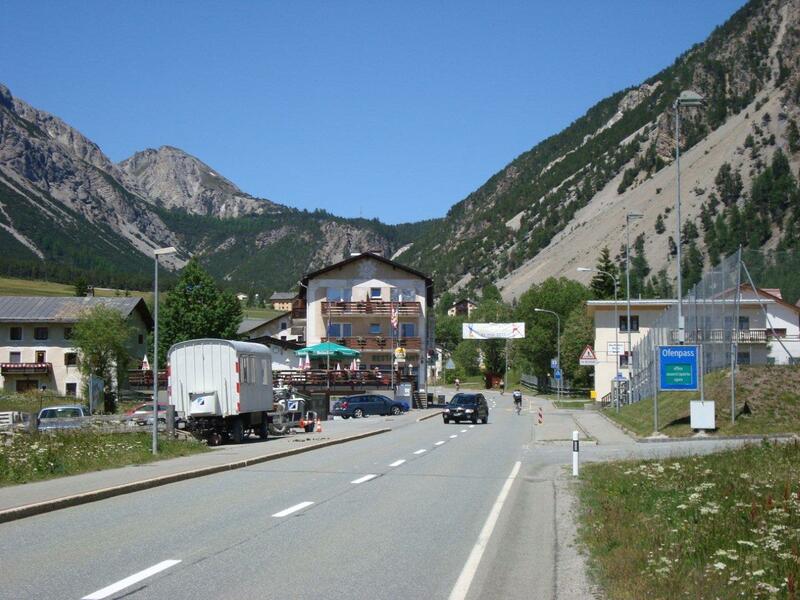 In the below center of the picture the Hotel Franzenshöhe. Stilfser Joch is being crested! 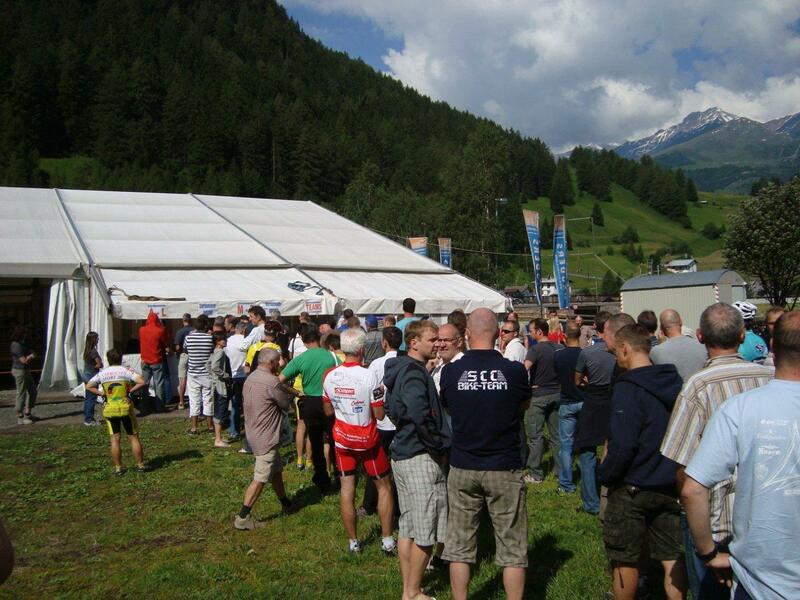 ...and the way becomes a baking oven for the participants at the rear of the field. Only very few shady trees on the way! 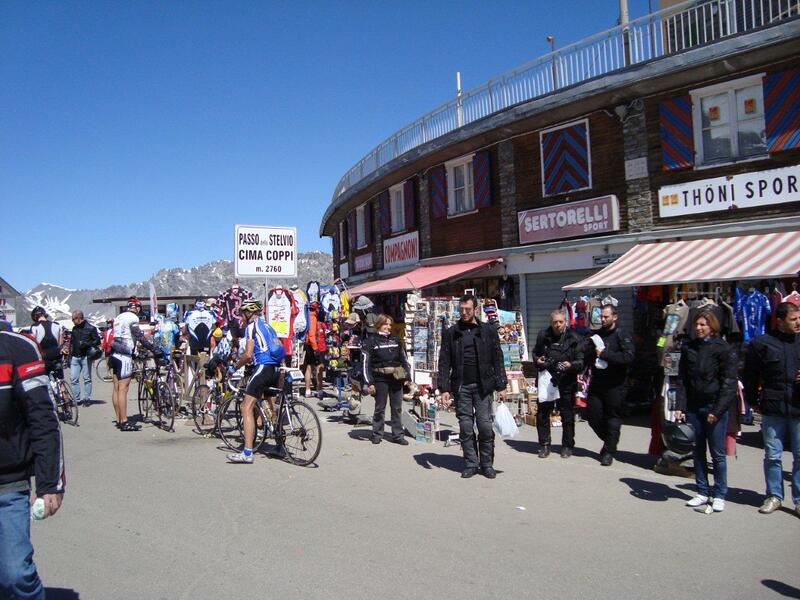 Exactly at 4.00pm little village of Martina is being reached. 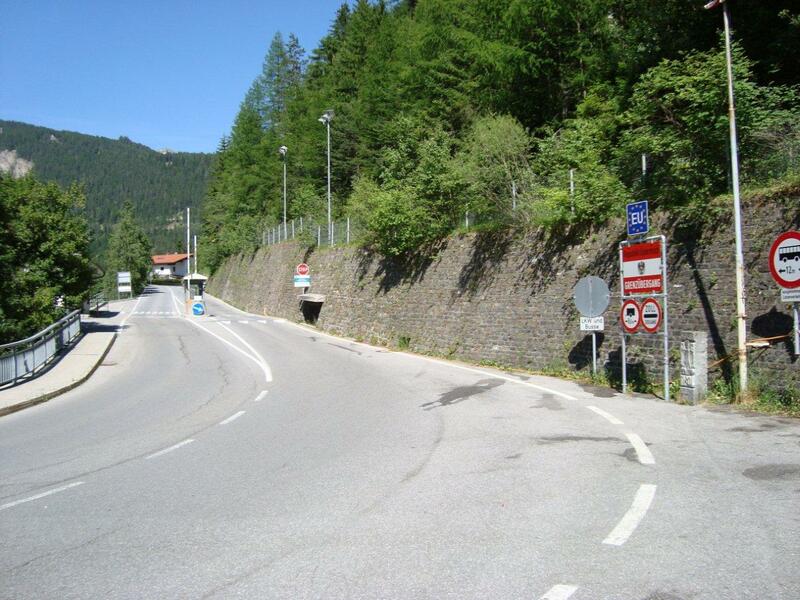 This is the border spot between Switzerland and Austria. 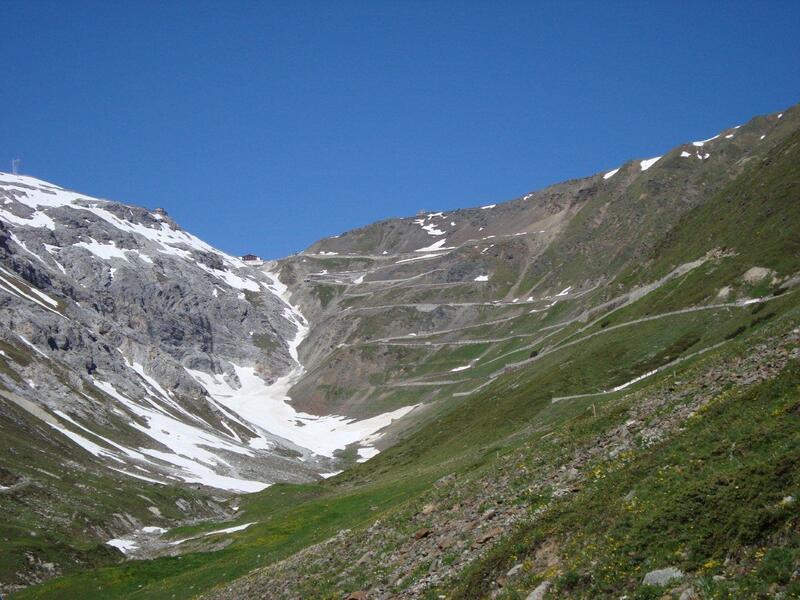 In Martina the route leads finally uphill to Norbertshöhe! Fortunately, the Sweeper bus takes liberties with the last riders and provides the current score of the World Cup match: "1-0 Germany, 21. minute!" 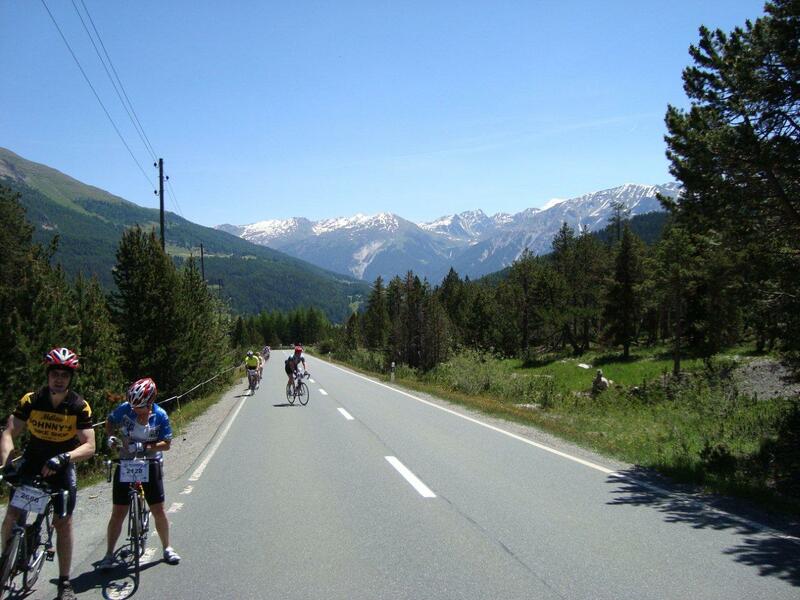 Shortly behind Norbertshöhe and after a climb of 169 kilometers and more than 3,500 meters of altitude difference this is the view to idyllic Nauders!